KEY QUESTIONS: What do we think about our local area and community? Do we want to improve our own place? Who decides where we live? How do place and identity influence each other? Stories can act as a powerful stimulus for discussion and reflection. The stories selected here can be read together and can lead to literacy activities that explore where we live, as well as the key questions above. Note: The books referred to here could all be a good stimulus for a P4C enquiry. The activities might include paired talking, writing short sentences about the story, creative writing, or reflective discussion and writing based on what happened in the story. Reading activities can include close reading and discussion of language as well as reading for meaning. 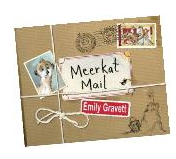 Meerkat Mail by Emily Gravett is a picture book which follows the journey of Sunny the Meerkat who visits all his relations in other places around the world, trying to find a place to live that is perfect, before returning home and realising that he is happy there after all. Each place is slightly different with different weather and surroundings, and danger is not far away. The book explores the traditional proverb that ‘the grass is always greener’. 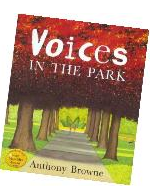 Voices in the Park by Anthony Browne is an excellent resource for exploring how we think about our local area and community. Four characters see their trip to the park, and the people they meet, quite differently, and even very young learners are able to use the story to think about place. The book can also be used as a stimulus for discussion at KS2. Hoot by Carl Hiassen is more suitable for upper KS2 children and KS3. It is about three middle school pupils in Florida, USA, who find out about some rare owls in danger from a company building a new fast food restaurant, in their local area. Each of them chooses to act differently to protect the owls, and through the story readers learn about how a local area works, as police, the school, the local council and the local newspaper are all included in the struggle.